Innovation Law Lab is the lead plaintiff in a case that seeks to overturn the dangerous "Remain in Mexico" policy, which forces asylum seekers to wait in Mexico as their cases wind their way through immigration court.Earlier this month, a federal court sided with Innovation Law Lab in finding the policy in question to be unlawful. That decision was appealed by the federal government, and the case was heard by the U.S. Court of Appeals for the Ninth Circuit on April 24, 2019.The courtroom was packed, largely with staff and supporters of the six immigrants' rights advocacy groups that brought this suit. PJ Podesta, advocacy coordinator at the Innovation Law Lab, was present and shared remarks following the hearing.We are now awaiting the court's decision. 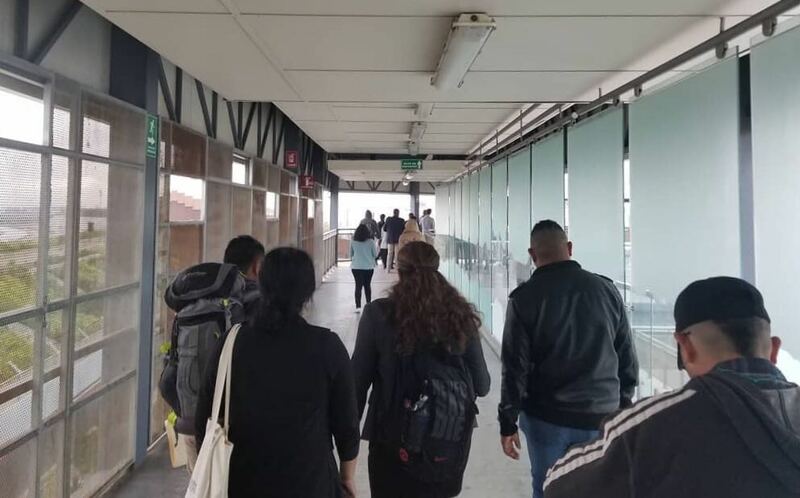 April 24, 2019 – Innovation Law Lab is the lead plaintiff in a case that seeks to overturn the dangerous “Remain in Mexico” policy, which forces asylum seekers to wait in Mexico as their cases wind their way through immigration court. Earlier this month, a federal court sided with Innovation Law Lab in finding the policy in question to be unlawful. That decision was appealed by the federal government, and the case was heard by the U.S. Court of Appeals for the Ninth Circuit on April 24, 2019. The courtroom was packed, largely with staff and supporters of the six immigrants’ rights advocacy groups that brought this suit. PJ Podesta, advocacy coordinator at the Innovation Law Lab, was present and shared remarks following the hearing. We are now awaiting the court’s decision. Plaintiffs in the suit include Innovation Law Lab, Central American Resource Center of Northern California, Centro Legal de la Raza, Immigration and Deportation Defense Clinic at the University of San Francisco School of Law, Al Otro Lado, Tahirih Justice Center, and 11 asylum seekers affected by the “Remain in Mexico” policy. Legal counsel is provided by the American Civil Liberties Union (ACLU), the Southern Poverty Law Center (SPLC) and the Center for Gender and Refugee Studies (CGRS). Innovation Law Lab (Law Lab) is a 501(c)(3) nonprofit organization dedicated to elevating humanity over fear. We combine technology and litigation to permanently end the mass incarceration and deportation of immigrants and refugees. The Director of Strategic Initiatives & Relationships plays a critical role in ensuring the sustainability and continued growth of Innovation Law Lab. This position is responsible for planning and executing the organization’s fundraising, communications, and strategic initiative efforts, in close coordination with the Executive Director, Law Lab staff, and the Board of Directors. This position designs and implements strategic initiatives in every mode of giving from individual donors, to corporate and foundation relations, to government grants. Additionally, this position takes the lead on communications efforts, including policy reports, media relations, social media management, and brand/marketing. This role maintains strong relationships with donors, local and national partners, and provides guidance to other Law Lab staff members on fundraising, communications, and other initiatives as needed. The Director of Strategic Initiatives & Relationships reports to the Executive Director and is part of a five-person leadership team, which also includes the Executive Director, Program Director, Technology Director, and Operations Director. This position was previously titled “Development Director,” but updated to better reflect the needs of our nimble, “startup”-style organization and more closely align this position with our programmatic and policy work. This position will be required to work out of Innovation Law Lab headquarters in Portland, Oregon and may travel occasionally. Relocation assistance is not available. Develop an annual fundraising plan and budget. Lead the cultivation and solicitation of donors and supporters. Track performance and report back to Executive Director and Board of Directors periodically. Write proposals and grant applications for general operating support and strategic initiatives. When appropriate, partner with staff and board members to identify funding opportunities and collaboratively prepare solicitation strategies. Maintain records of donors, grant opportunities, restricted funds, and emails subscribers. Prepare reports as needed. Assure gifts are accepted, acknowledged, expended, and reported on in accordance with donor wishes and the law. These duties are carried out in collaboration with the Operations Director and bookkeeper. Operationalize systems for further donor and supporter engagement. Communicate with Law Lab’s constituency through different platforms, from social media to email marketing to one-on-one meetings. Promote Law Lab image and development opportunities by being active in the social justice nonprofit space and the immigrant advocacy space both locally and nationally. Attend community events, coalition meetings, and other events as representative of the organization. Organize events for friends and supporters. Write and disseminate press releases, reports, blog posts, and other newsworthy information with members of local and national media. Partner with Law Lab staff to create communications materials and external-facing components for advocacy campaigns and legal work. Play an integral role in mapping out the strategic growth of the organization. Keep a pulse on opportunities and trends in communications, development, and organizational management, as well as immigration policy and current events broadly. The following are the minimum levels required to successfully perform the essential job duties and responsibilities. Three years of experience in fundraising, development, communications, marketing, or another comparable field. Excellent written, analytical, verbal, and organizational skills. Demonstrated ability to be creative and resourceful in a nimble organization experiencing rapid growth and increasingly at the forefront of responding to the federal government’s shifting immigration policies. Experience using donor management software tools and project management/collaboration software tools. Track record of successfully soliciting grants/major gifts and/or comparable track record of success in respective field. Demonstrated commitment to immigrants’ rights and the rule of law. Experience working with people from diverse backgrounds highly preferred. The Director of Strategic Initiatives & Relationships works primarily in an office environment; however, the position may travel to locations throughout the United States and potentially internationally to advocate for the immigrant rights issues. These locations may include cities where Innovation Law Lab has established “Centers of Excellence,” immigrant detention centers, law firms, and government buildings. The position interacts with Law Lab staff, advocacy groups, clients, government agencies, and others. The position sits for extended periods of the workday, but also stands, walks, bends, lifts, and moves intermittently during working hours. The incumbent must be able to lift, push, pull and move files and document in excess of 10 pounds. The Director of Strategic Initiatives & Relationships works a full-time schedule of not less than 32 hour a week at the incumbent’s discretion based on business need. The actual time required will often exceed 32 hours a week. This position may be required to work extended hours based on fluctuating workloads. This may include evenings, weekends, and holidays. The position is classified as exempt and is not eligible for overtime pay. This job description is a summary of the essential duties and responsibilities for this job, and it does not necessarily represent an all-inclusive list of duties, responsibilities, tasks or procedures. Employees are required to follow any other job-related instructions and to perform any other job-related duties requested by any person authorized to give instruction or assignments. Nothing in this description restricts Law Lab’s right to assign or reassign duties at any time. Essential job duties and responsibilities are subject to possible modification to reasonably accommodate individuals with disabilities. To perform the job successfully, an incumbent or applicant must possess the experience, knowledge, skills, and abilities to perform each essential duty and responsibility proficiently. If you require an accommodation in order to perform the essential duties and responsibilities of this job, please contact the Law Lab Executive Director. To apply, send your resume and a cover letter to jobs@innovationlawlab.org. Questions may also be directed to jobs@innovationlawlab.org. While applications will be accepted until the position is filled, we anticipate we will begin conducting interviews in early/mid May 2019. Innovation Law Lab is an Equal Opportunity Employer. Hello everyone, I’m P.J. Podesta. I’m an Advocacy Coordinator for Innovation Law Lab based in Oakland, California. Today I am in San Francisco, where a very important case, with the potential to impact thousands of asylum seekers, was just heard in federal court. The case is now being adjudicated and we hope to hear a decision soon. The case is called Innovation Law Lab v. Nielsen. Innovation Law Lab is the lead plaintiff, joined by several other organizations and 11 asylum seekers. We brought this lawsuit to overturn the Trump Administration’s unprecedented policy of forcing asylum seekers to return to Mexico as their cases move through immigration court. The policy we are challenging is called the “Migrant Protection Protocols,” sometimes referred to as MPP for short. The name is cruel and misleading – it is actually very dangerous to migrants. MPP is the latest attempt by the Trump Administration to deter asylum seekers from exercising their right to seek refuge in a safe country. Why is the policy dangerous? It is well documented that migrants face danger and exploitation at the border. By forcing asylum seekers back to the border, the federal government is knowingly placing them in harm’s way. MPP is in direct violation of the humanitarian protections to which immigrants are guaranteed under not only U.S, but international, law as well. Here’s a little background on the history of MPP. It was implemented in late January. Since then, asylum seekers have been sent back from the U.S. to Mexico on an almost daily basis. In mid-February, it was reported that not only were adults being affected by this policy, but so were children. As soon as Innovation Law Lab and fellow legal advocates learned about this new policy, attorneys and staff went to the border to begin identifying and interviewing people affected by it. The testimonies we collected formed the basis of the case that will be heard today in court. The lawsuit was filed on February 14, 2019. Earlier this week, the first wave of asylum seekers affected by this policy had their first court hearings. They were required to show up at Tijuana-San Diego border, where they were sent through security and were then taken into government custody to be shuttled to immigration court. I want to tell you about one of the asylum seekers I met in Tijuana who had been sent back as a result of this policy. I met him just as he had been forcibly returned. I will never forget the mixture of shock and fear on his face. After enduring brutal violence, he fled his home country and traveled 2,000 miles through Mexico to reach the U.S. border. 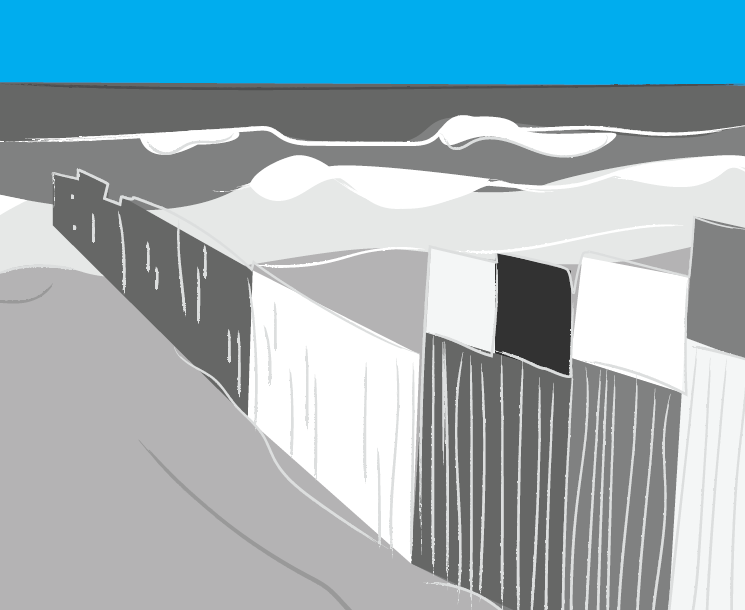 In Tijuana, he was forced to wait for Customs & Border Patrol – or CBP – to allow him to ask for asylum. While he waited in a temporary shelter, he witnessed a murder, then witnessed local police do nothing to stop the assailant. Soon after, he came across body parts discarded in a nearby trash can. Surrounded by such violence, he anxiously looked forward to the day when he would be admitted to the U.S. to seek asylum. When he was finally allowed by U.S. officials to cross the border, he was taken to what is often called a hielera, or an “icebox.” The hielera is a holding cell kept at near-freezing temperatures. Every asylum seeker, regardless of their gender, age, or health conditions passes through these hieleras when they enter the U.S.
Immigration officers rigorously questioned him, but did not once ask if he was afraid to return to Mexico. He told me afterwards that if he had been given the opportunity, he would have absolutely told them that he was afraid to return. Then – without knowing what was happening – he suddenly found himself handcuffed and returned by van to Tijuana. His story is harrowing, but unfortunately, it is not unique. Many of the migrants we met in Tijuana, including the 11 asylum seekers that join us in today’s case as plaintiffs, shared similar stories. MPP is cut from the same cloth as the so-called “zero tolerance” policy. It is designed to cause chaos and confusion, to keep asylum seekers out no matter the cost. Regardless of the facts on the ground, the Trump Administration is now planning to expand this policy to other ports of entry along the U.S.-Mexico border, making this ill-conceived and dangerous experiment more likely the norm. Today, we stand in solidarity with migrants fleeing violence and seeking asylum. We know that millions of Americans stand in solidarity, too. I want to take a moment and speak directly to those who stand in solidarity with us today: I know you are outraged at the attacks on migrants perpetrated by Trump Administration. I know you oppose the practices that aim to block the entry of asylum seekers into our country. I know you are horrified by the mass detention of immigrants across our country. And I know you are eager to welcome asylum seekers into your homes and communities. I know that you, like us, imagine a country where humanity wins out over fear. Today’s lawsuit is an important step in the right direction. It isn’t the first time we’ve challenged the Trump Administration and it probably won’t be the last time. But with your support, Innovation Law Lab will continue to fight against policies rooted in xenophobia, misogyny, homophobia, transphobia, and racism. Thank you for being part of this fight for human rights. The Staff Attorney is a position in our growing legal program. The Staff Attorney will use creative legal and advocacy strategies to directly challenge prolonged detention, constitutional violations, and other injustices in the immigration legal system. The Staff Attorney will be primarily charged with discussing and designing best strategies to provide legal representation in immigration and other related proceedings, providing support and interventions in ongoing immigration court cases, including cases involving asylum, Special Immigrant Juvenile Status, removal proceedings, other forms of immigration relief, and anti-detention remedies. The Staff Attorney will report to the Legal Director and serve as an integral member of the law program. Innovation Law Lab is headquartered in Portland, Oregon, but this position may be based anywhere in the United States. Supervise and mentor pro bono attorneys representing individuals in removal proceedings before the Executive Offices for Immigration Review (EOIR) and USCIS. Collaborate with staff in creating and analyzing legal strategies; personalizing case interventions/actions; and contributing to the development of best practices at the intersection of technology and the law. Develop materials to train and aid staff, pro bono attorneys, clients, and pro se respondents as they endeavor to navigate the complex immigration system. Travel nationally and internationally for team convenings, trainings, collaborative projects, and other engagements. JD degree and admission to the bar. Minimum of two years experience practicing immigration law. Preference will be given to those with additional years of direct services experience. Knowledge of BIA and Immigration Court procedures. Excellent written, analytical, oral, organizational and time management skills. Well-organized, efficient, highly motivated, able to work well under pressure, and able to work independently and as part of a remote team. Must maintain professional demeanor and excellent work ethics at all times. Demonstrated commitment to immigrant rights and social justice. Experience working with people from diverse backgrounds, including low-income populations, people who are marginally housed, immigrants, LGBTQ individuals, people of color and/or persons with disabilities. Advanced Spanish language skills strongly preferred. The Staff Attorney works primarily in an office environment; however, the position may travel to locations throughout the United States and potentially internationally to advocate for the immigrant rights issues. These locations may include cities where Innovation Law Lab has established “Centers of Excellence,” immigrant detention centers, law firms, and government buildings. The position interacts with Law Lab staff, advocacy groups, clients, government agencies, and others. The Staff Attorney sits for extended periods of the workday, but also stands, walks, bends, lifts, and moves intermittently during working hours. The incumbent must be able to lift, push, pull and move files and document in excess of 10 pounds. The Staff Attorney works a full-time schedule of not less than 32 hour a week at the incumbent’s discretion based on business need. The actual time required will often exceed 32 hours a week. The Staff Attorney may be required to work extended hours based on fluctuating workloads. This may include evenings, weekends, and holidays. The position is classified as exempt and is not eligible for overtime pay. To apply, send a resume and cover letter to jobs@innovationlawlab.org. Questions may also be directed to jobs@innovationlawlab.org. March 19, 2019 – This Friday, Innovation Law Lab v. Nielsen will be heard in federal court. The case seeks to overturn the Trump Administration’s policy of returning asylum seekers to Mexico to await the outcomes of their immigration cases. Since the policy’s implementation in late January, asylum seekers—including children—have been sent back to Mexico almost daily. 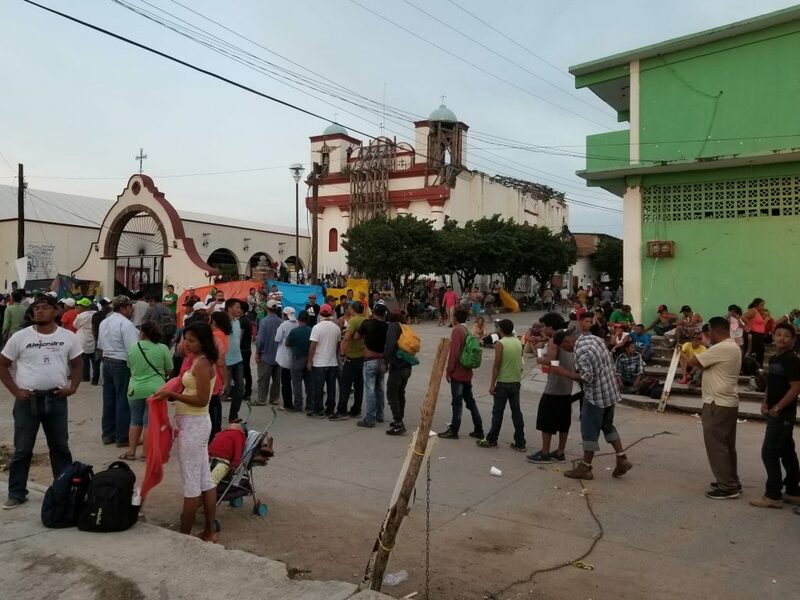 Innovation Law Lab attorneys and staff, in partnership with Al Otro Lado and other legal advocacy organizations, have been working at the border to identify and interview asylum seekers who were returned to Mexico. Many of those returned have expressed bewilderment and dread over the prospect of remaining in Tijuana, where migrants routinely face abuse and violence. Testimony from nearly a dozen asylum seekers formed the basis of the lawsuit filed in federal court on February 14, 2019. Three of those stories are shared below. Despite sharing his fears with a U.S. immigration officer, Howard was still selected for return to Mexico to await the outcome of his asylum case. Los Zetas is known for torturing and killing those who evade them, and Howard fears that as long as he remains in Mexico, he will be a target. When Bianca was a teenager, she was raped and became pregnant. “He told me that he did this because I am a lesbian and love women,” she recalled. Prior to presenting herself at a port of entry, Bianca connected with Cristian Sanchez, an attorney at RAICES, who provided her with a letter requesting she not be returned to Mexico, as well as an index of documents on country conditions in Honduras. However, she was never given the opportunity to present these documents or even bring them with her to her interview with an immigration officer. John also worries he will not be able to adequately prepare for his asylum hearing. Had he been permitted to remain in the U.S., he could have been released to stay with his family, including U.S.-citizen siblings who live in California. Instead, he remains far from their support with his legal case and more. John was among the first asylum seekers to be returned to Mexico as a result of the Trump Administration’s so-called “Migrant Protection Protocols.” He fears for his life and safety as he moves between shelters in Tijuana, Mexico. That fear has only intensified since he was briefly admitted into the United States, with the promise of refuge and reunification with his family, only to be sent back across the border. To read the suit filed on February 14, 2019, click here. To read declarations filed by plaintiffs, including the individuals mentioned in this post, click here.